Wholesale Revlon cosmetics in 250 count boxes. Items include Photo ready Makeup, Color stay Mineral Foundation, Revlon 3d Nail art, Matte Kohl eyeliner, Custom Eyes Mascara, Color Stay Concealer, DoubleTwist Mascara, Age Defying Makeup , and much much more. 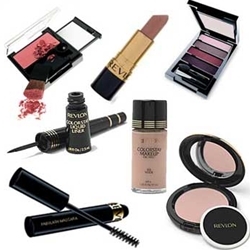 Items included in our wholesale Revlon Lots: foundation, mascara, eye shadow, blush, concealer, pressed powder, loose powder, eyeliner, lipstick, lip gloss, and much more. Items come both carded & loose and all are retail-ready. A small percentage of our Revlon wholesale cosmetic may have retail stickers. Our Revlon cosmetic lots have a wide assortment of colors and shades, large quantities are available call for further details. Revlon closeout cosmetic lots typically include items such as: Photo ready Makeup, Color stay Mineral Foundation, Revlon 3d Nail art, Matte Kohl eyeliner, Custom Eyes Mascara, Color Stay Concealer, DoubleTwist Mascara, and, Age Defying Makeup . These are some examples of what we carry in addition we are always receiving new closeout Revlon items to add. 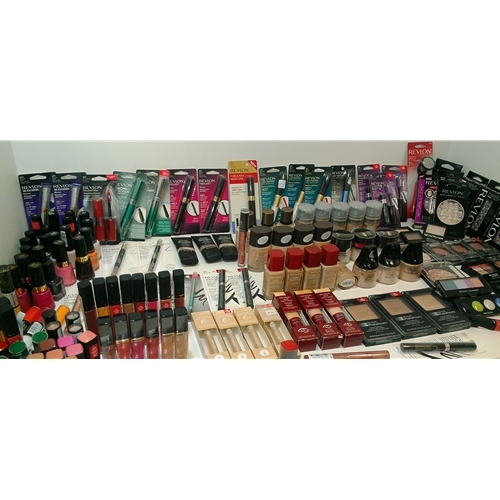 All Wholesale Revlon items are overstock and shelf-pulled cosmetics.